This giveaway is now CLOSED. Congratulations to Judith Rose for winning the slow cooker! Another day, another giveaway! 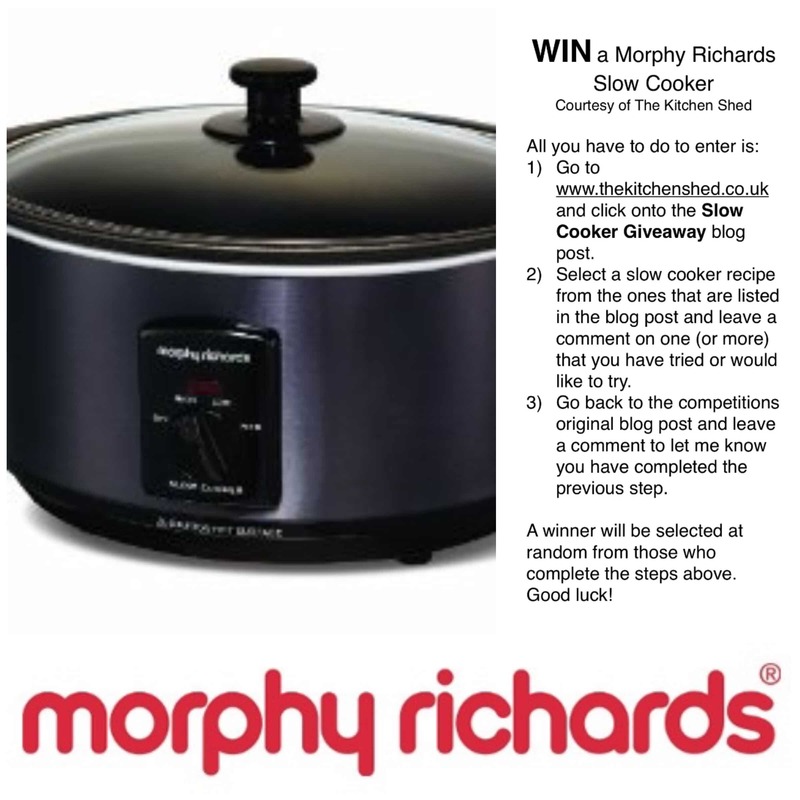 Today is your chance to grab yourself a Morphy Richards Sear and Stew Slow Cooker, courtesy of The Kitchen Shed. If you have ever read the post about My Kitchen Tools then you will know how much I love this slow cooker. I have had a few slow cookers and this is by far the best one I have ever had. 1. Choose one (or more) of the Slow Cooker Recipes below and leave a comment on any you have tried or would like to try. 2. Come back to this page and leave a comment below to tell me you have completed the previous step. A winner will be selected at random from those who complete both steps. This giveaway is only open to those living in the UK and will end at midnight on Thursday 29th January 2015. The winner will be announced on Friday 30th January 2015 right here and on Facebook.